A SD card, or Secure Digital card, is a memory card used in portable devices for non-volatile memory storage. The cards are commonly used in tablet computers, cell phones, digital cameras, and GPS devices. The SD standard was first introduced in 1999 as an improvement over MultiMediaCards. The standard for SD cards is maintained by the SDA (SD Card Association) and has been implemented in more than 400 brands and greater than 8,000 models across a large number of product categories. At the time of this writing, the SD format includes four different card families and three different form factors. The four families of card that are in use in the market include: SDHC (High Capacity), SDSC (Standard Capacity), SDXC (eXtended Capacity), and SDIO (combined input/output functions along with data storage). The form factors for SD cards include the micro size, mini size, and original size of the cards. Manufacturers are able to combine the different device families and form factors when producing cards for commercial or academic use. In order to allow a smaller SD card to be used in a device designed to make use of a larger SD card, there are electrically passive adapters produced to provide compatibility of the card(s) with the host machine. Additionally, when new host devices are produced, they are typically designed with a fresher or newer version of the SD card specification that allows for backwards compatibility for older cards. If an SDIO card is going to be used; however, the device must be able to support the various input and output functions that the card provides. What are the Types of SD Cards? The SD Association has extended the specification in a number of ways since the spec was first published. 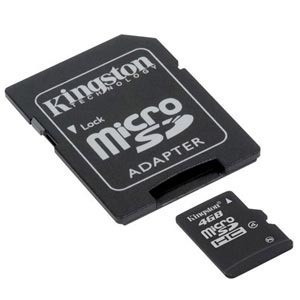 The miniSD and microSD cards were defined which are able to be used in larger SD card slots by use of a passive adapter. The cards were originally branded TransFlash or TF. Similarly, RS MMCs (Reduced Size MultiMediaCards) are just shorter MMCs that are able to be used in MMC slots through the use of an extending pice to the cards. The SDA also defined higher capacity SD cards with increased capabilities. These cards are referred to as SDXC (Secure Digital eXtended Capacity) and SDHC (Secure Digital High Capacity). Since each of these card types redefines the interface with the host device, they are not able to be used in legacy or older SD card devices. The SDIO card family was created by the SDA in order to provide enhanced input and output functions. Some SDIO cards also provide memory functions that can be used in devices which are designed to support SDIO cards. How Big are SD Cards? The size of SD cards can vary significantly depending on the family of card being compared. 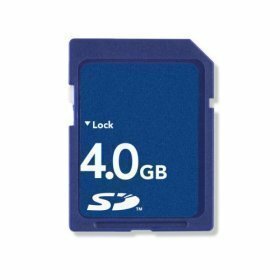 The specification for SD cards includes three physical sizes; however, the SDXC family of cards is not available in the mini size of card while the SDIO card family is not available in the micros size. The SDHC and SD families are available in all three defined card sizes. The SD micro size form factor card is the smallest supported SD card format. What is the SDHC Format? The SDHC (Secure Digital High Capacity) format was included or defined in the SD Specification 2.0 version. The spec now includes support for SD cards with a capacity of up to 32 GB. Since the SDHC trademark is licensed, consumers are able to ensure that cards are fully compatible with the standard. Although SDHC cards are designed to be electrically and physically compatible with the SDSC (standard capacity DC cards), there are some compatibility issues with the redefinition of CSD (card specific data) in the 2.0 version of the SD card standard. Additionally, since SDHC cards are preformatted with the FAT 32 file system, there can be additional issues with regards to support by host devices. Computer hosts that are able to accept SDHC cards are required to also accept cards of the SDSC type. The converse; however, is not true. Devices which support SDSC are not required to do the same for SDXC or SDHC card types. If you are going to use a SDHC card on an older operating system such as Windows XP, an additional patch or service pack must be used before the card type will work. XP requires service pack three to be installed before the card type will be supported on the operating system. Windows Vista also requires a service pack to be installed before SDHC card types will work (service pack 2). How Do SDXC Cards Work? The SDXC (Secure Digital extended Capacity) format is able to support up to 2048 GB or 2 terabytes in total storage. This is a significant improvement in overall card storage capacity when compared to a maximum storage capacity of 32 GB for SDHC cards as laid out in the 2.0 specification. The SDXC card type was first announced at CES 2009 (Consumer Electronics Show). At the same time, Sony and SanDisk also announced a compatible memory stick variant with the same storage capacity as SDXC. Just three months after the announcement at CES, Pretec would be the first company to release the SDXC card with a 32 GB card that supported an improved read/write capability of 400 Mbit/second. It would take the remainder of the year for the device market to catch up with the newly released card when Sony released their Handycam HDR-CX55V camcorder and the EOS 550D (Rebel T2i) digital camera. The first laptops that integrated SDXC cards would rely on the USB 2.0 bus which does not provide suitable support for the full bandwidth capacity of SDXC cards. SDXC host devices are fully compatible with legacy families of SD memory cards. Unfortunately, SDXC cards are normally shipped with the Microsoft exFAT file system installed which may not be supported on the host device. Due to the proprietary nature of the file system, some device manufacturers may not pay the license fee for supporting the card type. What Operating Systems Support SDXC Card Types? At the time of this writing, the following computer operating systems support the SDXC card type: Windows 8, Windows 7, Windows Vista SP1+, Windows XP SP2, SP3, Windows Server 2008 SP1, Windows Server 2003 SP2, SP3, and Windows CE 6.0 and higher. Non-Windows operating sytems that support SDXC cards include Mac OSX 10.6.5 (Snow Leopard) and later versions of the OS to include OS X 10.7 (Lion). For Linux and BSD OS’s, if the OS supports SDHC cards they can support SDXC cards which have a compatible file system loaded. These operating systems will not normally support the exFAT file system out of the box. End-users can reformat the card to support a different file system that will work on the Linux and BSD OS’s; however, this may escape the capabilities of the average computer user. As discussed, Secure Digital Input Output (SDIO) cards are an extension of the primary SD specification that allow various input / output functions to be supported by the card. The device types which typically support SDIO cards can vary but include RFID readers, digital cameras, modems, barcode readers, GPS receivers, older-style PDAs, and occasionally laptops or mobile phones. 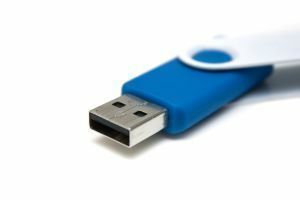 It has become more common in recent years for devices to rely on the USB interface for communications rather than relying on the SDIO card type. SDIO cards are capable of supporting the majority of the memory commands used by SD cards. Most SDIO cards are designed to be structured as both a memory and I/O card. They have the same electrical and mechanical interface as SD cards which lack I/O functions; however, a host must have the appropriate applications and drivers installed to support the functionality of the card type. SD cards can be locked by host devices with a password. These passwords are typically input by the end-user and can be up to 16 bytes in length. If a card is locked, it will work with the host computer or device normally except that it will not allow commands to write or read information unless it is unlocked using the appropriate password. Once the password is provided by the end-user, it can be changed. If the end-user forgets the password, most cards will allow the host device to erase the information on the card (if not protected by Digital Rights Management (DRM), but will preclude obtaining access to the information saved on the card before it is erased. The majority of SD cards incorporate some form of DRM copy protection. This protection takes up a less-than-trivial amount of the storage space of a card (depending on overall capacity). This is a “Protected” region of the card, but can be accessed by the processor located on-card to ensure an application is identified and allowed to access protected information located on the card. It will also prevent operations such as unauthorized copying of information on the card. SD cards make use of CPRM or CPPM (Content Protection for Recordable Media) DRM methodology that leverages the C2 cipher (Cryptomeria). The C2 specification is only accessible to licensed users and has not been cracked at the time of this writing. One of the more popular devices to make use of SD cards featuring the DRM technology are Windows 7 phones. The phone allows an SD card to be inserted beneath the batter and becomes locked uniquely to the mobile device. Although the card can’t be read, it can be formatted to be reused on other devices capable of lower-level formatting. – How often soft failures on the card require the card controller to redo the desired operation (reading or writing). – If the cards controller is required to read and erase a large region before writing new information onto the card. – File fragmentation on cards that do not have sufficient room for a file to be saved in a continuous or contiguous region on the card. Although there is not a disk drive head or rotational-movement delay with fragmentation on a SD card, it will cause delays by requiring additional computational resources to be devoted to multiple reads of the card to locate the next file fragment. Newer SD card families are able to improve on card speeds by implementing an increased bus rate. This is the speed or frequency of the clock signal used to send or strobe information to and from the SD card. When a card is busing conducting an operation, it will signal to the host device that it is busy when a memory operation is ongoing. If a SD card is rated to operate at a higher speed, it will minimize the use of the busy indicator to the host device. SD Card Class 2 Speed – Is considered suitable for standard definition video recording. SD Card Class 4 and 6 Speeds – Are considered suitable for high-definition to full HD recording of video. Class 10 – Is considered suitable for a full HD video recording as well as recording of HD still imagery. UHS Speed Grade 1 – Is considered suitable by the SDA for large HD video files and real-time video broadcasts. SD cards are capable of supporting a number of combinations of both transfer modes and bus types. All SD card families require that the SPI bus mode and one-bit SD bus mode are supported. Once a card is able to negotiate the appropriate bus interface mode with the host device, the usage of the numbered pins on a card will be the same for any card size. One Bit SD Bus Mode: Uses separate data and command channels as well as a proprietary transfer format. Four Bit SD Bus Mode: UHS-I and UHS-II require this type of bus transfer mode. It uses extra pins on the card in addition to some pins that are reassigned. The SD card interface consists of nine pins. On miniSD cards, there are two pins in the center of the card that are not connected, while the microSD card eliminates one of the two ground (VSS) pins. Most SD cards are able to be reformatted on a compatible host computer or phone. The steps may vary slightly depending on the version of the computer or phone’s operating system, but should be similar to the below. Step 1 – Ensure you are logged in to a computer with permissions to conduct formatting actions. You may need to have admin rights to conduct the formatting operation on an SD card. Step 2 – Input or insert the SD card into the computer’s SD card reader. Step 3 – Select the “Start” menu button followed by the “My Computer” program icon. Step 4 – Right click the SD card located under the “Devices with Removable Storage” menu label. Step 5 – Click the “Format” menu option and either select “FAT16” or “FAT” depending on the available menu options. Then, click the “Start” menu option. Step 6 – Once the formatting operation is completed, choose the “Safely Remove Hardware” menu option and click on the SD card. Step 7 – Eject the card when the operation is complete. Step 1 – Insert the SD card into the mobile’s SD card slot. Step 2 – Choose the “Settings” or equivalent menu on the device. Step 3 – Pick the “Memory” or equivalent menu option. Then, select the “Memory Card” menu choice. Step 4 – Pick the “Format” menu option. Once the operation is complete, the card can now be used on the mobile device. 112 queries in 0.455 seconds.